Key Difference: Christmas or X-mas is a holiday that is celebrated to commemorate the birth of Jesus Christ, the son of God. Thanksgiving Day is the day of giving thanks for the blessing of the harvest that has been received for the previous year. Christmas and Thanksgiving are two of the most well known and celebrated holidays that are at the end of the year. While, both holidays may seem familiar because both holidays are associated with merriment, family gatherings and food, there are many differences between the two main holidays. Christmas or X-mas is a holiday that is celebrated to commemorate the birth of Jesus Christ, the son of God. Jesus was miraculously conceived by the Holy Spirit in Mary's womb when she was still a virgin. In many places, Christmas is associated with the nativity scene, in which Mary and Joseph travel from Nazareth to Bethlehem for the census and Jesus is born and laid in the manger. People from all over the world, including astronomers followed the Star of Bethlehem in order to provide gifts to the newborn. He is considered as the son of God and the savior for all people. The star on top of the tree is usually representative of the star and hence the gifts are often placed underneath the tree or rather underneath the star. Although, originally associated with the birth of Jesus, Christmas is now considered as being of the holidays that have been commercialized. Christmas is now more associated with Santa Claus, a jovial figure with a huge belly and a long beard that gives presents to the good children and coal to the bad children. 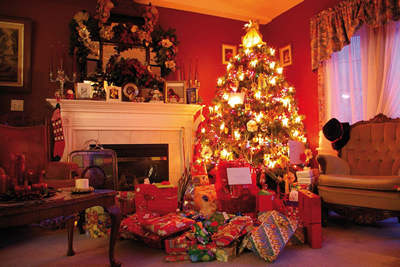 During Christmas, families come together to celebrate and exchange gifts among each other. 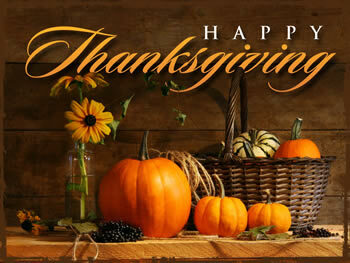 Thanksgiving Day is a national holiday is most commonly celebrated in North America and Canada. However, the holiday (under different names) are often celebrated all over the world. Thanksgiving Day is the day of giving thanks for the blessing of the harvest that has been received for the previous year. It is often celebrated on fourth Thursday of November in United States and second Monday of October in Canada. Thanksgiving is popular considered as the day when the pilgrims (people who came to the US on the Mayflower) sat down with the Native Americans to give thanks for the feast. However, experts often claim that this is not the first celebrations in the United States. According to Robyn Gioia and Michael Gannon of the University of Florida argue that the earliest Thanksgiving service in what is now the United States was celebrated by the Spanish on September 8, 1565. While, author James Baker claims, “Historically, none of these had any influence over the evolution of the modern United States holiday. The American holiday's true origin was the New England Calvinist Thanksgiving. Never coupled with a Sabbath meeting, the Puritan observances were special days set aside during the week for thanksgiving and praise in response to God's providence.” Thanksgiving is often associated with family gatherings and celebrating by feasting on turkey with filling, mashed potatoes and pumpkin pies. Gatherings, food, drinks, decoration of turkeys, etc. Cakes, eggnog, pudding, marzipan, mincepies, nutmeg, etc.